Imagine that you play a sport that can be played in a team or solo, and that your solo efforts were set against those of a team - hardly fair, right? The same would be true if you were to match a single person's sales to that of a collective - it makes sense that multiple people are going to be able to do more and generate more money, if they are working effectively, than a single individual. Look at the individual production of each member of that team and match their statistics against those of a stellar solo player, and you would be looking at a totally different picture. Should team production and individual production be ranked in the same way? Is it not confusing to rank independents and teams together? If you look at the success of Ray Cassano, he ranks in the top fifty, when matched against those teams who work in real estate - so he is holding his own. If you judge him person to person against individual agents he is head and shoulders above everyone. As a person looking to get the perfect piece of real estate, wouldn't you want the stellar solo player in your court rather than the person whose statistics may be muddied by being mixed in with the work of their team mates? If you work with Ray, you know you are getting a real estate professional with 44 years of experience who has a passion and a drive to deliver that dream home to you, or to make sure your business is able to inhabit that perfect spot you picked out. If you get someone whose statistics are commingled by the influence of those they work with and their performance, maybe all you can say about them is that they are a great team player (not a bad thing, but not the same as a star solo player by any means!). Buying a home is an important decision, and finding a place to set up your business can be vital to its success - so being able to clearly see someone's statistics in doing that is a great indication that you can place your trust in them to do the same for you. In any field there are those who excel - those who consistently demonstrate their brilliance in the field in which they operate. In real estate, in the Clearwater area, one realtor does that: Ray Cassano. Ray is an award winning realtor who has been number one in his field for a long time, and his business continues growing from strength to strength. Ray is well known in the Clearwater community, and his business, Station Square Realty, is a landmark. It was founded in 2004 and has helped many people to find the perfect piece of real estate for them. He is the prime realtor in downtown, and is a Realtor Emeritus, a status awarded because of the amount of time he has been in real estate, and the quality of service. He has been selling real estate for over 44 years, and he and his colleagues at Station Square Realty are GRI qualified (Graduates of Real Estate Institute), an honor given only to the top real estate agents in the country. Ray has expressed before his desire to boom Clearwater and make it into one of the finest cities on Earth, and he has contributed to that in a lot of ways. 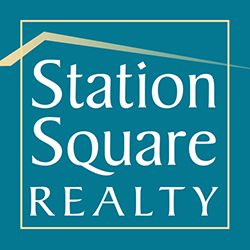 Clearwater is a great place to live, and Station Square Realty's passion for helping people find the exact right property for them has been. Ray sums it up on his website: "I love helping people get one of their biggest dreams, which is their own house or business!!"